The products described in this post were given to me for free. I was not monetarily compensated for this post, and all opinions are 100% mine, for better or worse. Please see my Disclosure Policy for more information. I’m going to try something a little different today, so bear with me. One of the really cool things about having a blog is that I get to try lots of new stuff – usually from new companies, small businesses, or brands that you might not have heard of yet. 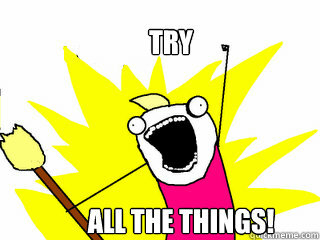 I love sampling and trying new things, and I love sharing that info (and when I can, products) with you guys! And while I wish I had the time to write a full product review on each and every item that I’m asked to try, I’ve learned over the past year (especially the last few months) that I just can’t do it. The reviews pile up, I get stressed, and my productivity goes down the toilet. So I’ve been tossing around a few ideas. And after chatting with one of my favorite running bloggers, Erica from Erica Finds, I decided to start a new series of round-up posts where I share some of the things I’ve gotten to try. I thought about connecting the series to a specific day of the week, like Erica’s “Tried It Tuesdays,” but then my “Five Things Friday” came and went…so I’m thinking that I’ll just work with my own schedule, workload, and inspiration. Oh, and the name “Sharon Share Alike?” That comes from the nickname that one of my oldest and dearest friends, Christine, gave to me almost 20 years ago. I’m Sharon, and I’m Sharing, and well, you get it, I’m sure. Firmoo.com is an online eyeglasses store. They offer a huge selection of deeply discounted frames for both men and women. Most of their frames cost less than $40, and some cost as little as $10. I have to admit that when Firmoo contacted me about reviewing a pair of glasses, I was a little skeptical – I mean, you get what you pay for, right? So what kind of quality could I expect from such an inexpensive product? Still – my husband had been saying that he needed a new pair of eyeglasses for months, and we had nothing to lose by giving Firmoo a try. Plus, I did a bit of Googling and saw a number of blog reviews that seemed to suggest that the company was legit. It’s easy to tell that Firmoo isn’t based in the US (their use of English is less than perfect), and this added to my skepticism. But as their website states, this is why they’re able to offer such great prices – they purchase their lenses, frames, and other accessories directly from manufacturers in Asia, and their labs are also overseas. This translates to discounts of up to 90% for their customers. The first step in ordering my husband’s eyeglasses was selecting his frames. Firmoo has a giant selection of frames, but they make it super-easy to browse by categorizing their frames by shape, material, size, and frame (full-frame, semi-rimless, or rimless). They also have specialty eyewear, like bifocals, progressives, reading glasses, and prescription sunglasses. Each frame has a detailed description, including PD (Pupillary Distance) specifications (more on that in a minute). 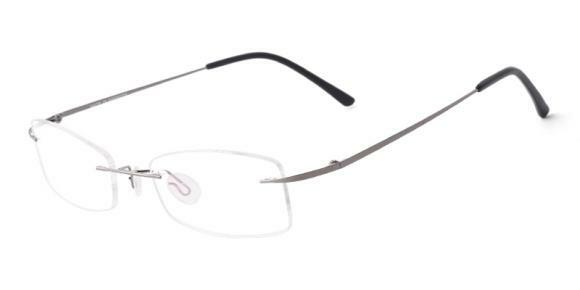 The first pair of frames that my husband selected weren’t a good fit with his PD, so he went with a more suitable pair – the Men’s Rimless Memory Metal frames in Gunmetal. Next, he had to enter his prescription information. This was a little tricky, but Firmoo offers very detailed instructions on how to read a prescription, how to locate your Pupillary Distance (the distance between your pupils in millimeters) on the prescription (it can be indicated in various ways), and how to measure your PD yourself. We located all of the necessary information on the written prescription from his last exam, placed the order, and that was it. His new glasses arrived very quickly – within about 2 weeks. If you know my husband, you know that he’s not shy about expressing his opinion – and to my mild surprise, he was extremely impressed with the quality of his eyeglasses. He’s worn them every day since, and he’s had nothing but good things to say. I truly couldn’t be more pleased. Right now, Firmoo.com is running a “First Pair Free” special for new customers. Choose one of nine frames, and receive the frames, a case, and a cleaning cloth for free. You just pay for the lenses and shipping. Bottom line? Thumbs up from me and the hubs. You can learn more about Firmoo on Facebook, Twitter, and Pinterest. Okay, I’m going to be totally honest here with an unpopular sentiment. Whenever I hear the words “Gluten-Free,” my first response is “no thank you.” I like bread. I like pasta. I like Oreos. I’m just not a gluten-free kind of girl. Then they contacted me again. This time, I read a little more about the product, and it sounded yummy – even to a picky, gluten-lover like me. Brazilian Cheese Bread (or Pão de Queijo) is a South American household staple. They are small, baked rolls with a crispy crust and a cheesy center. Brazi Bites are a ready-made version of these popular snacks. They come frozen, with about 20 rolls to a package. Just pop them in the oven, bake for 20 minutes, and they’re ready! They’re made from all-natural ingredients and, yes, they’re naturally gluten-free. And guess what – they taste really good! You can find Brazi Bites in the freezer section of Whole Foods, Sprouts Farmers Markets, and other natural food stores across the US. 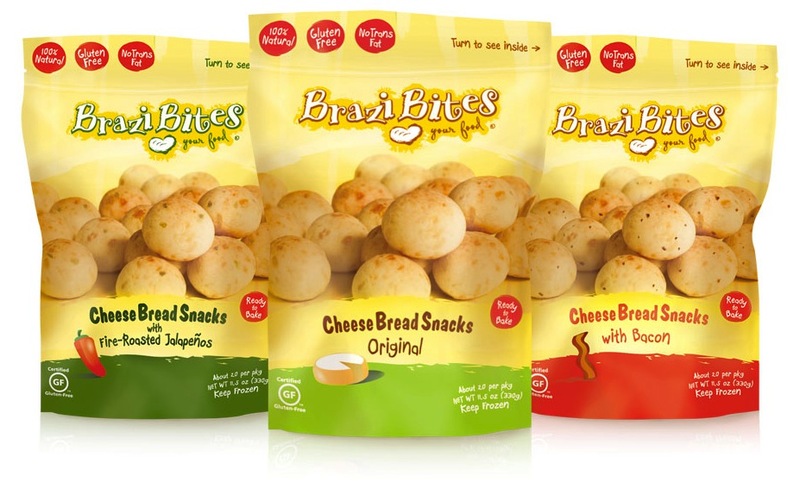 Check them out online to find Brazi Bites in your area. You can also connect with them on Facebook, Twitter, Pinterest, and Instagram. And with that…I think I’ll call Sharon Share Alike a wrap for today. I’m interested to know how my blogger friends handle product reviews. Do you ever get overloaded or behind in your reviews? How do you handle it? Celebrate Five Years with ENERGYbits! I’m embarrassed to admit that I didn’t pay one bit of attention to the nutritional info on the bites. When I consider foods, I here’s what I think of, in order: 1) How does it taste? 2) Will it upset my stomach? and 3) Is it made from mostly natural ingredients? Writing round-up reviews is so much easier! That;s what I always end up doing with the smaller products I receive that just can’t be a full on post! I need to go over to your site and look. I really need to create a PR/Work With Me page. It’s been on the to-do list for ages.